5 awesome examples of 1 page websites built with Divi. Clear & concise, easy to access via mobiles and easy to maintain, a 1 page websites may just be the thing you’re looking for. You may have already seen the blog post from Elegant Themes, which shows you how to create a one page website using the Divi Theme*, and it shows just how quick and easy a 1-page site can be to set up. But, with some extra design skills, creativity and imagination you can make something really special in a 1-page package, as the 5 examples below demonstrate. A Divi Theme one pager example for HR Saager, a HR agency based in Berlin. Clean and well structured, with Subtle background details on the orange content sections broken up with the large headshot images make this an easy site to process. 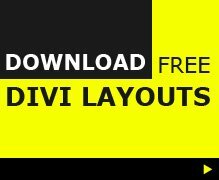 This site was 1st added to Divi Theme Examples in April 2015 and it was one of the 1st Divi sites that really took the customisations of the theme to a new level. Beautifully designed with unique customisations make this a site anyone would be proud to own. 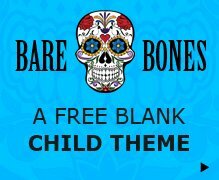 This is a 1 page Divi child theme by Leslie Bernal of A Girld And Her Mac. Irregular shapes and layout make this a good example of something for those who like to think outside of the box. A one page Divi example for Bohemia Group, a multidisciplinary marketing communications group based in Sydney, Australia. Nice design, nice images and a nice flow of information make this a great looking, user-friendly site that gets the message accross in a single page. A 1 page portfolio site to showcase the work of graphic and UI designer Casey Labatt Simon. It’s concise, with just the essential info so the work in his portfolio can speak for itself.